This publication summarizes the current evidence on the benefits of WASH for improving nutrition outcomes and describes how WASH interventions can be integrated into nutrition programmes. 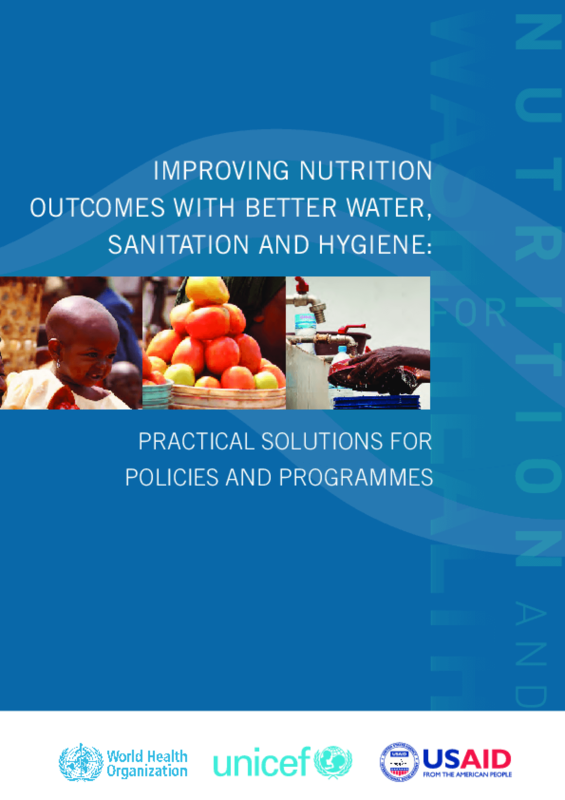 It provides practical suggestions targeted at nutrition programme managers and implementers on both "what" WASH interventions should be included in nutrition programmes and "how" to include them. It also seeks to help the WASH community to understand their role, both as providers of technical expertise in WASH interventions and in prioritizing longer-term improvements to WASH infrastructure in areas where undernutrition is a concern. Copyright 2015 World Health Organization.